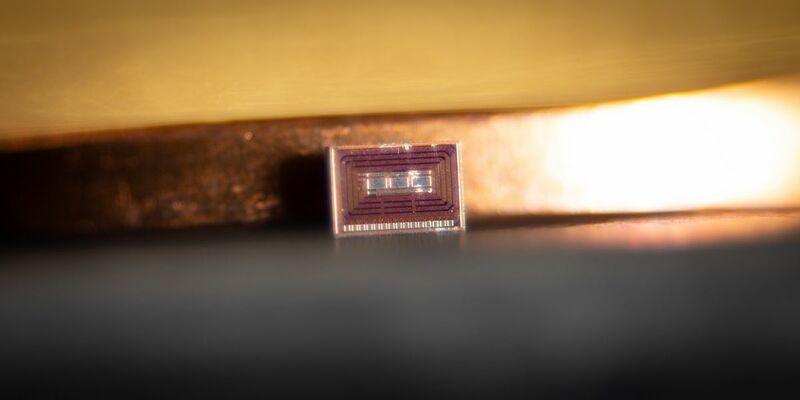 The tiny tech could help people breaking up with alcohol stay sober. Christmas parties. Dates. Football games. Cookouts. Wherever humans socialize, you can bet that the booze will follow. Its omnipresence, plus its addictive qualities, can make it really hard for people to stop drinking, even if they really want to. Now, researchers are working on a new alcohol-monitoring implant that could help people stay on the wagon. All they’ll have to give up is some of their autonomy. 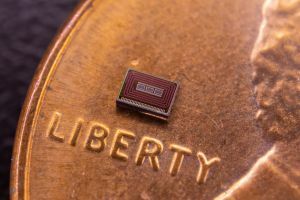 Researchers at the University of California San Diego (UCSD) developed the implant, a biosensor about one cubic millimeter in size. It’s easy to implant under a person’s skin, no surgery required. When a person drinks, an enzyme coating the sensor produces a chemical byproduct that sends a wireless electrical signal to a wearable, such as a smartwatch, which remotely powers the sensor. The researchers have already tested their alcohol-monitoring implant in the lab, using a mix of ethanol and “diluted human serum” (not quite clear what that is) beneath pig skin. Next, they plan to test it in animal models; if that goes well, human tests will follow. The researchers think they could eventually modify the implant to test for other substances. “The ultimate goal of this work is to develop a routine, unobtrusive alcohol and drug monitoring device for patients in substance abuse treatment programs,” lead researcher Drew Hall said in a press release. To make sure patients get the proper treatment and support, professionals monitor addicts’ usage with breathalyzers, blood tests, or temporary tattoos. According to the press release, the UCSD researchers believe their alcohol-monitoring implant is an improvement on those options. It’s hard to disagree. You drink, and the smartwatch will find out almost right away. It can then relay that information to whoever keeps you accountable — the head of your substance abuse program, perhaps, or an AA sponsor. This could presumably help keep addicts sober, even when they don’t have a breathalyzer or blood test scheduled for the near future. However, the sensor is also far more intrusive than other monitoring methods. It’s literally inside a person’s body. The researchers say it’s easy to implant in a clinic, but they don’t note how difficult it is to remove. We should also pause to consider the team’s focus on substance abuse treatment programs. While some people enroll in those voluntarily, others are required to do so when they are sentenced for crimes. Requiring convicted criminals to take a breathalyzer as part of court-ordered treatment is one thing. Requiring them to agree to an implant to avoid jail time is another — a very invasive other that verges on Black Mirror territory. If this implant can help people break up with alcohol, then great. We just need to make sure we’re willing to make that trade-off.